Have a penchant for pies? These six recipes will fill your kitchen with heady scents and bring the family together round the dinner table in an instant. Terrible crimes have been committed against pies over the years. They might have started life as a mere portable casing for the filling within (Victorians would throw away the crust), but we now know that half the fun is contained within the buttery pastry. However, pies in tins and soggy supermarket offerings are often half-filled and almost entirely sauce, with the odd flake of meat or tiny chunk of vegetable floating around in the gravy. Of course, this can all be avoided by making your own pie at home. You’re then free to include any filling you want, tweak seasonings and even experiment with different pastries, instead of settling for either steak and ale, chicken and mushroom or cheese and onion. 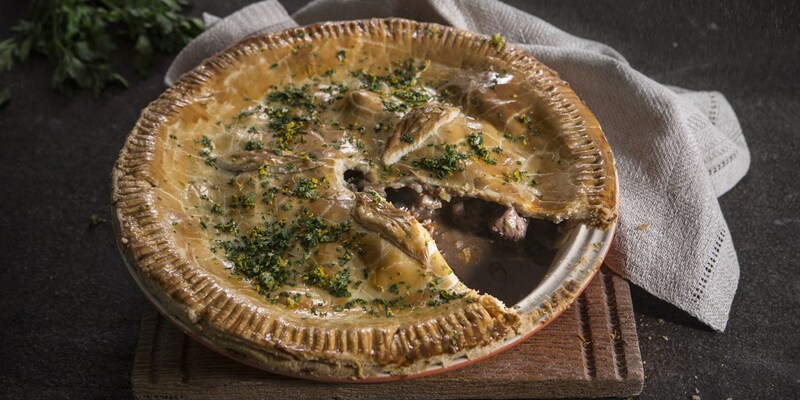 Whether you’re a traditionalist who believes a pie can only be called a pie if it is completely encased in pastry, or don’t mind simply giving a casserole a pastry lid and popping it in the oven, we’ve got plenty of recipes to get you going. Here are six of our favourites. 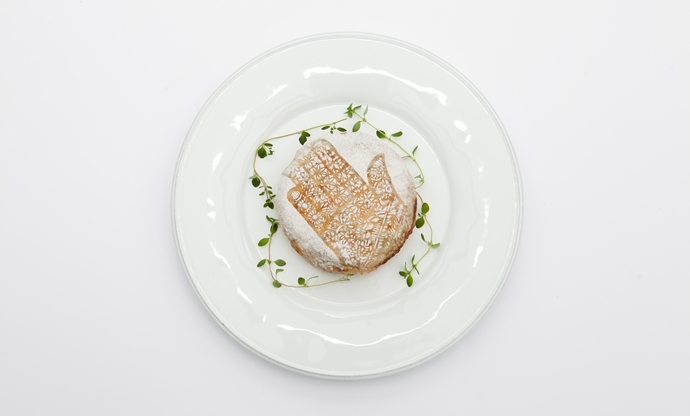 Let’s start with something completely different – a pigeon pie filled with aromatic North African flavours. A bisteeya (or pastilla) is a sweet and savoury speciality of Morocco and Algeria, and is bound to turn heads at any dinner party. The filling is rich with eggs, saffron, spices and herbs, and the buttery filo pastry is adorned with flaked almonds, cinnamon and icing sugar, which certainly adds an unusual twist. When game is in season, a proper pie is the best way to cook with it ­– something Helen Graves knows all too well. Combining venison, pheasant, partridge and rabbit in a red wine gravy, she also throws in some mixed seasonal mushrooms, a little marmalade for sweetness and some chopped bacon for extra flavour. The simple gremolata, made with orange zest, garlic and parsley, is sprinkled over the top just before serving, which adds some welcome zing to the rich pie filling below. A good pork pie is one of the most wonderful examples of British cooking, and you can find perfectly passable ones in the shops. 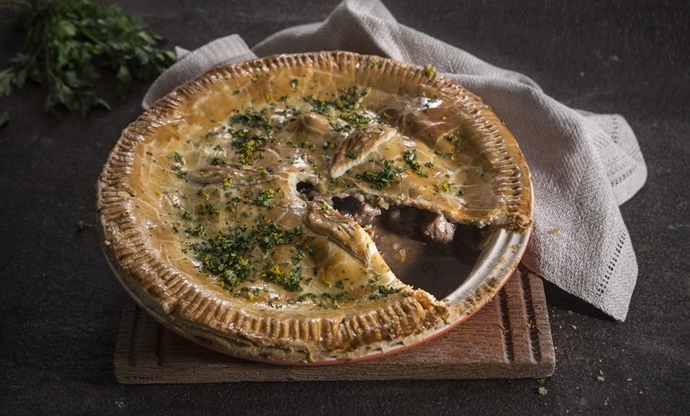 While making your own is a labour of love, the satisfaction you get after you’ve successfully hand-raised your hot water crust pastry, piped in the jelly around the meat and finally taken a bite is hard to beat. Served with a simple salad of Stilton, chicory leaves and quick-pickled shallots, this is a beautiful dish to serve up for lunch. Pies are generally seen as rustic, homely and comforting, but leave it to the French to turn it into a bastion of haute cuisine. 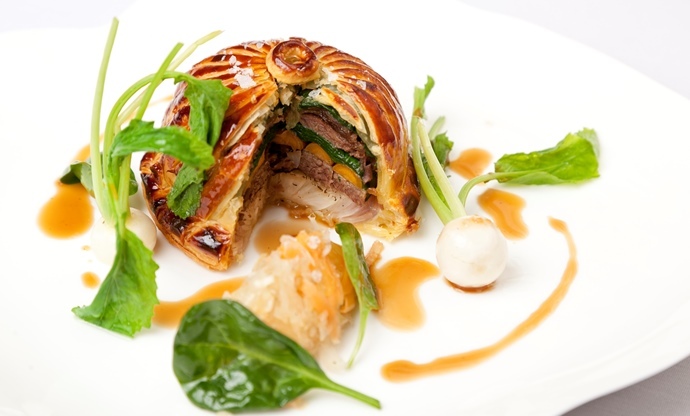 Colin McGurran’s pithivier is jaw-droppingly beautiful, with layers of slowly braised ox cheek, homemade chouchoute, roasted vegetables and wilted spinach encased in a beautiful little parcel. Scoring half-circles around the pastry lid before baking results in a beautifully patterned pastry. 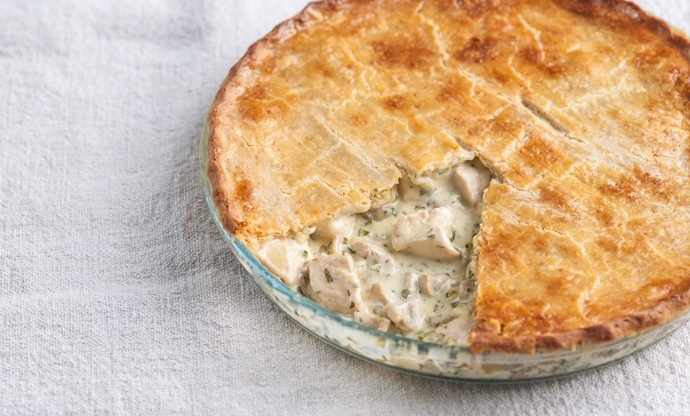 Chicken and mushroom is a classic pie filling combo, but by making your own pastry you can add yet another element into the mix – cheese. 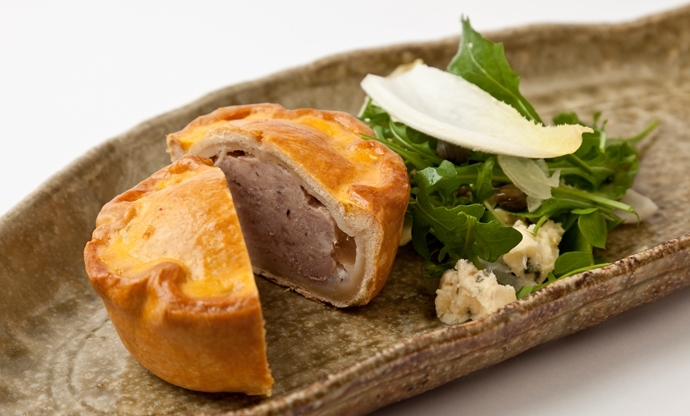 Nathan Outlaw keeps his filling pretty simple, allowing the cheddar in his shortcrust to shine through. You can make the chicken and mushroom mixture in advance along with the pastry, then when it comes to dinnertime simply spoon the filling into a dish, roll out your pastry, lay it over the top and bake. 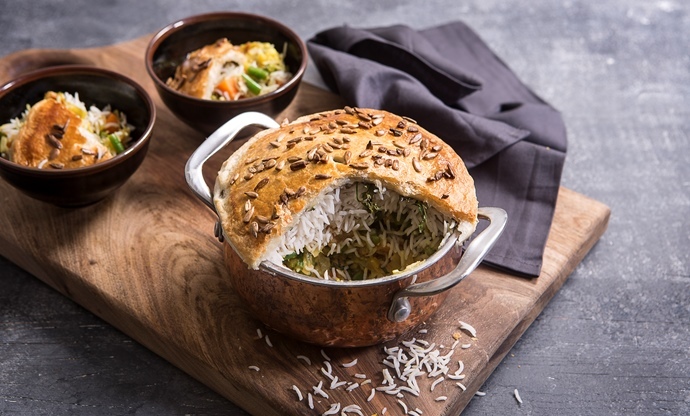 Biryani pie might sound weird at first, but in India all biryanis are cooked like this – the dough (known as dum) is placed on the top of the pot to create an airtight seal, allowing the rice inside to steam to perfection. With a whole host of vegetables, saffron and rosewater for aromatics and a perfectly balanced mix of spices in amongst the grains, all the flavours gently meld together during baking for a fantastic result. Plus, you can eat the pastry too.